A fabulous way to walk down your aisle, enhance your colour theme and simply be unique. Most hotels use a dull looking red carpet for your civil ceremony. 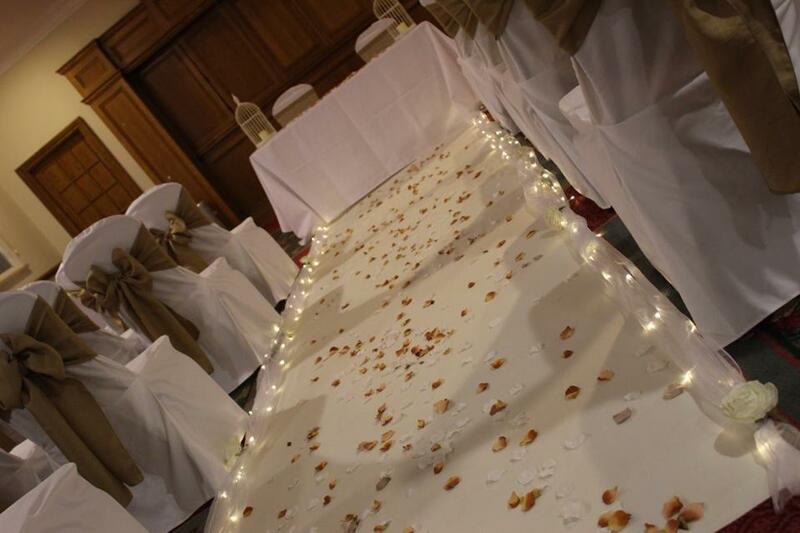 Why not brighten up your centre aisle with our white aisle runner. It looks fabulous when used alongside our white chair covers. 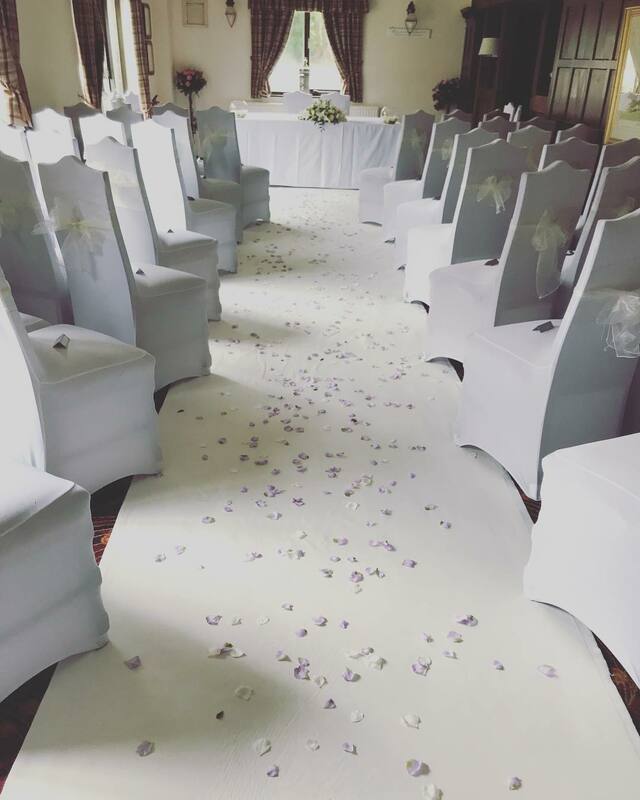 For that extra touch we can dress your aisle runner with fairy lights, colour coordinating rose petals and swags of organza to match your colour scheme. All aisle runners have a non-slip backing which ensures that it will remain perfectly flat and in place.